Annie Pinsker Brown shows off a staging success story in Santa Monica. 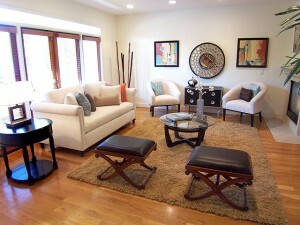 Simply by looking at the before and after photos it’s easy to see why staging is so effective. Notice how the space opens up, showing off the height of the ceilings and expanse of the room. To read more on this transformation, or to view more before & after photos, visit StageToSell.biz.